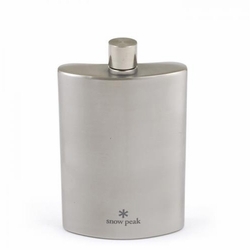 The Medium Titanium Hip Flask is made out of the finest Grade A Titanium. It weighs in at 2.3oz and will hold up to five shots of your favorite liquor. Each comes cased in its own gift package including a suede carrying case and plastic funnel. Dimensions: L 4.5" W 3" H .75"